India is primarily an agriculture-based country. Its economy mainly depends on agricultural produce. Hence, empowering farmers is the key to the country’s happiness and prosperity. Although farmers are the pride of the country, their current state is miserable despite having entered the 21st century. Even now, the walls of illiteracy, blind faith and destructive social practices have not been broken down. So the need of the hour is a spiritual revolution that will enable moral, economic, social and ethical development. 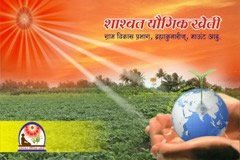 The main aim of this campaign is to help farmers use spirituality to purify the inner self and at the same time to empower them by re-awakening their latent qualities such as benevolence, courage and self-confidence through the practice of Rajayoga. 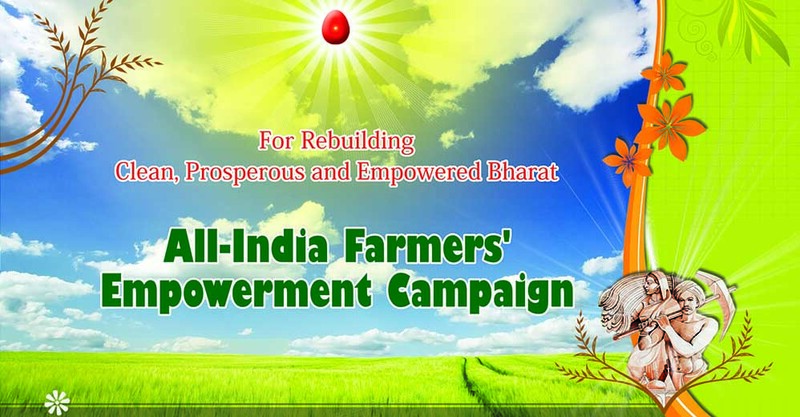 Prajapita Brahma Kumaris Ishwariya Vishwa Vidhyalaya and the Rural Development Wing of the Rajayoga Education and Research Foundation have organized the “All-India Farmers’ Empowerment Campaign” throughout the nation to establish clean, prosperous and empowered Bharat. The campaign was inaugurated on 13 September 2015 at the renowned Talkatora Stadium located in the Indian capital city of New Delhi. On this occasion, people from all states/regions took part in the campaign tours were present. The dedicated Rajayogi brothers and sisters of this organization, with the support of the local centres of the Brahma Kumaris, shall go to various villages and impart practical knowledge and training on Sustainable Yogic Agriculture and Farmers’ Empowerment through forums, gatherings, conferences, etc. Further, they will inform farmers about the current Government schemes being implemented for farmers and provide support in how to avail of such schemes. To eradicate blind faith and destructive social practices. The Brahma Kumaris World Spiritual University (BKWSU), with its spiritual headquarters in Mt. Abu, India, comprises a worldwide network of centers in 140 countries and is an international non-governmental organization of the United Nations accredited with General Consultative Status with the Economic and Social Council (ECOSOC); Associate Status with the Department of Public Information (DPI); Consultative Status with United Nations Children's Fund (UNICEF); Observer Status to the United Nations Environment Assembly of the United Nations Environment Programme (UNEP); Observer Organization to UN Framework Convention on Climate Change (UNFCCC); Flagship Member of Education for Rural People (ERP), Food and Agricultural Organization (FAO).